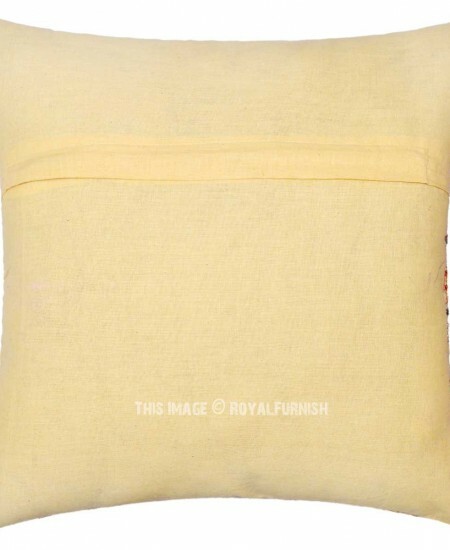 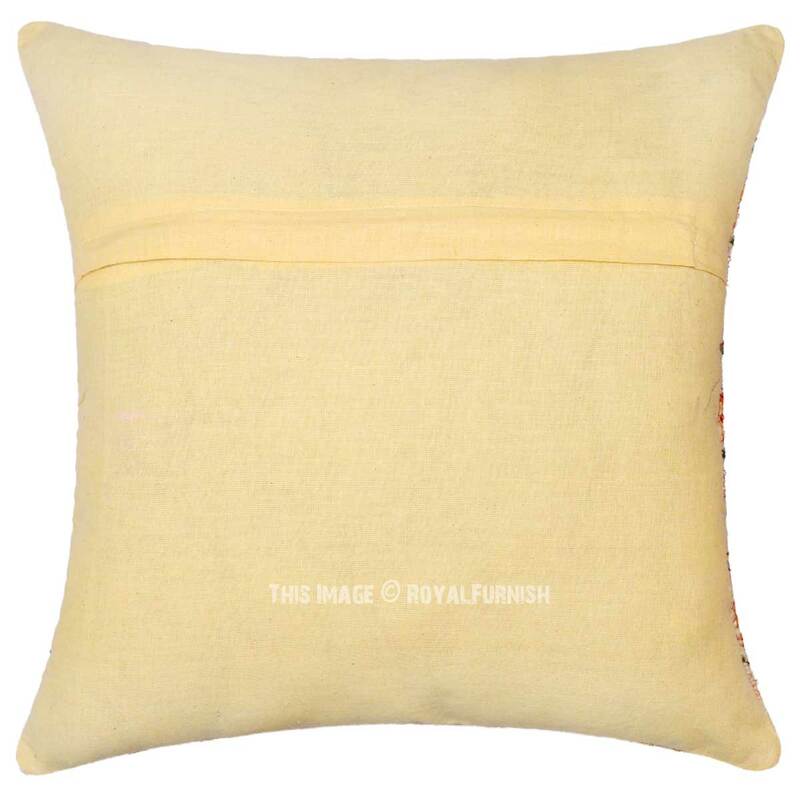 The beautiful India handicraft floral Silk pillow is made in India. 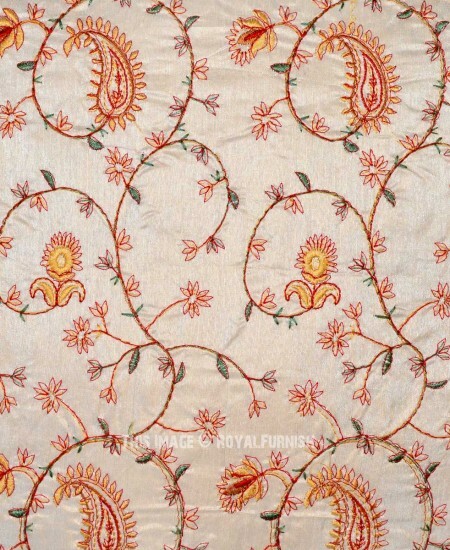 The hand embroidered threads delivers it a rich look. 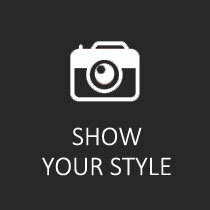 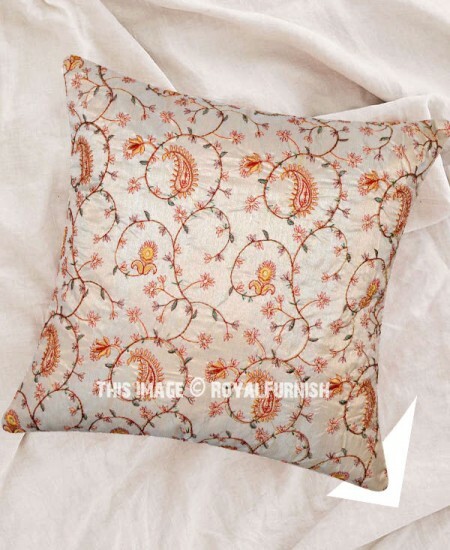 Add it on home furniture it will add warmth, color and traditional style to any room. 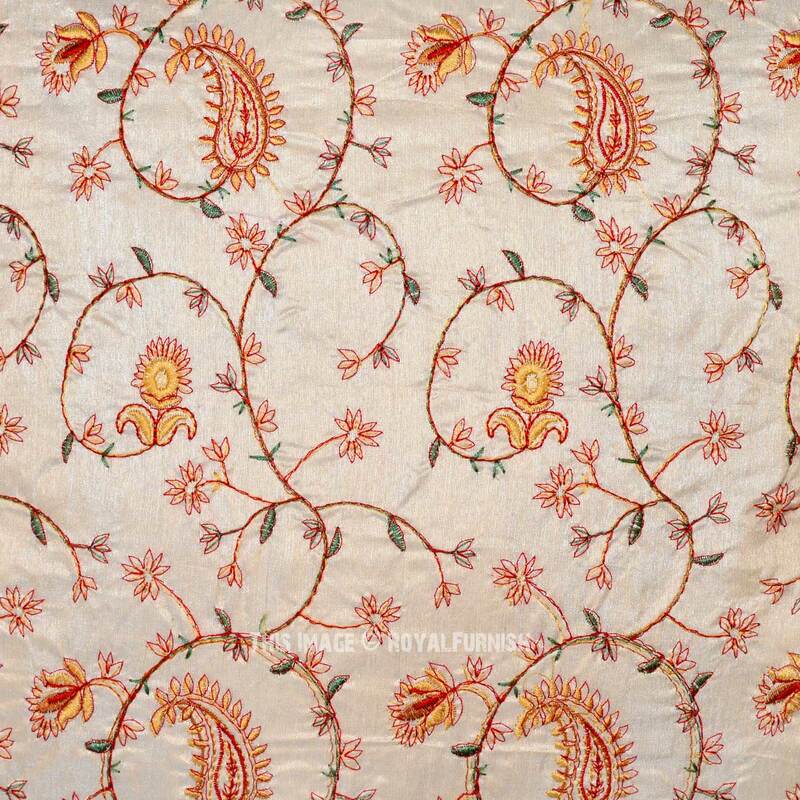 The traditional styles of thread embroidery developed in Rajasthan and Gujarat are displayed here with remarkable craftsmanship and expertise! 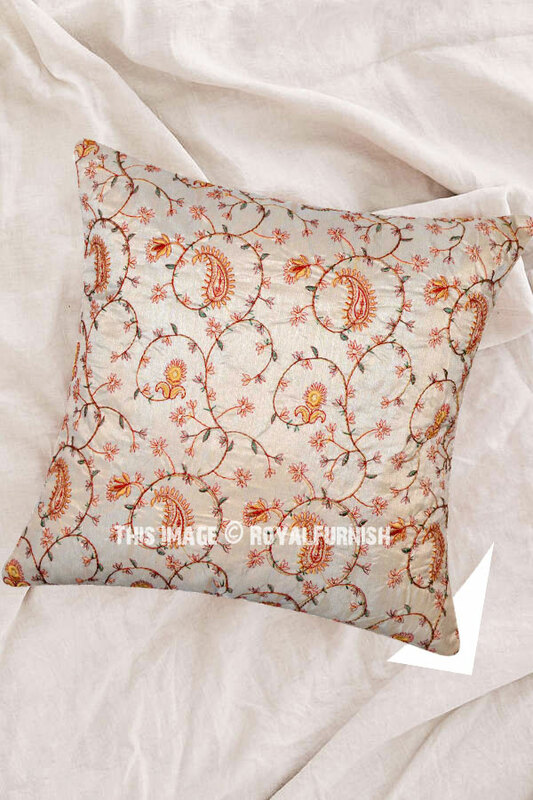 Witness the meticulous thread and sequin work in multiple colors and the magnificent image of India's beloved ! 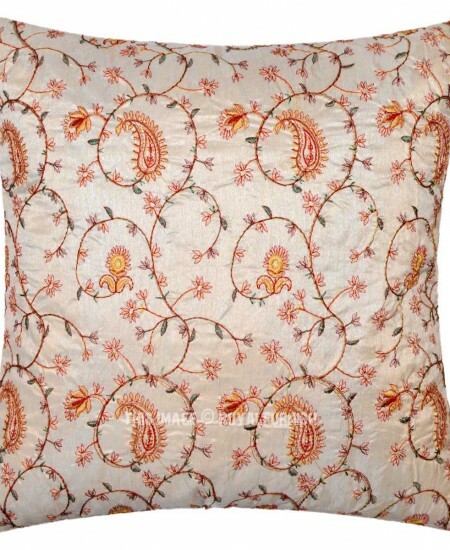 Decorative Round Motif Suzani Embroidery Pillow Case 40" Cm. 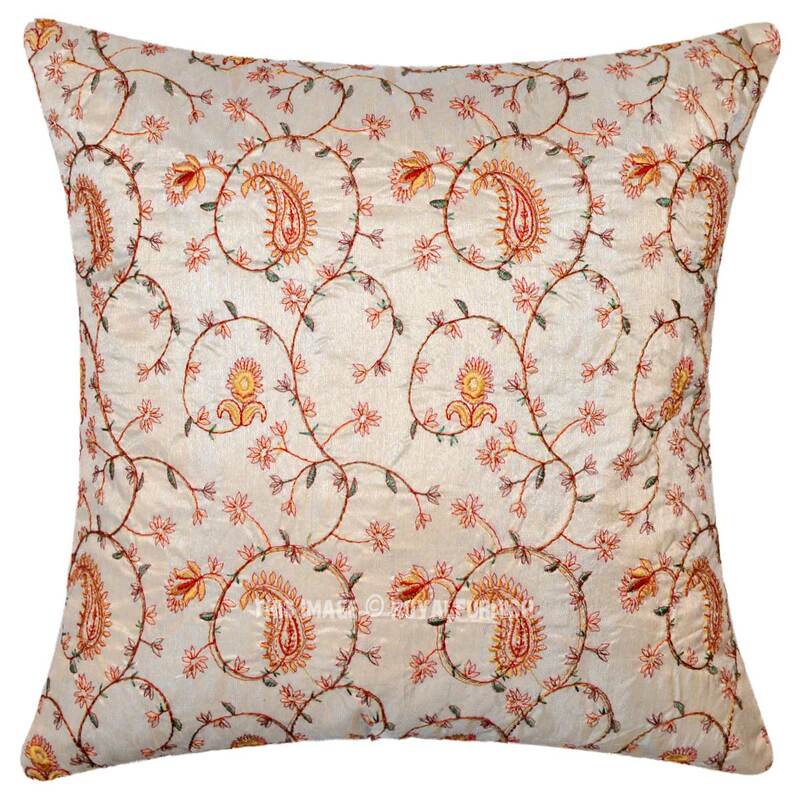 White India Hand Embroidered Floral Silk Toss Pillow Cover added to the cart!